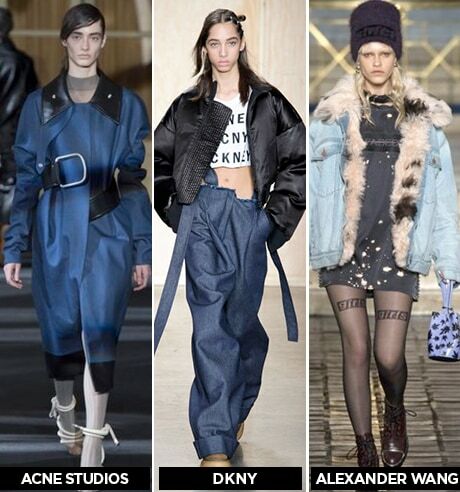 Winter is almost here and we all are super excited about the paradigm shift in our wardrobe. Good news is, this Fall/Winter is going to be amazing as it bring in some exciting trends which we can’t help but fall in love with. According to the F-chart, it’s time for some experimenting with Fall Florals, feel the passion of Dark Romance and raiding nana’s closet. Excited much? 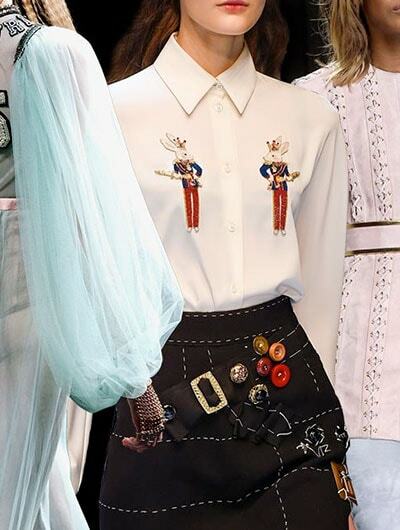 Read on to find out the 6 trends that define the season. Fashion sneaks’ FW ‘16 Color Forecast is amazing, as always! A vibrant blue-green color and all its shades — from emerald green to turquoise — are hands down one of the most popular colors of the season. Teal is definitely a must-have shade in your wardrobe. This trend is stolen straight from grandma’s closet, powered up in terms of exotic prints, colors and styling combinations. 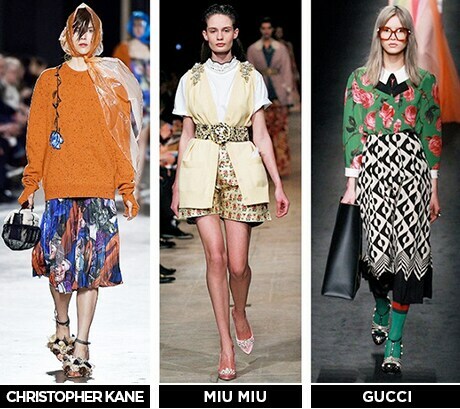 Christopher Kane, Miu Miu, Gucci showed that all you need is confidence to wear and pair the unexpected. Headscarves, furniture colors, geek-chic glasses and socks-with-sandals; dare to wear them all this season. Nothing spells sexier than lace and velvet in dark hues. This one’s for the ladies who love the dark side of pretty. Designers showcased the luxe fabrics on rich dark colored dresses, tops, skirts, and just about everything, making it the favorite of the season. Is there anybody who can live without denims? Our favorite fabric gets a winter makeover as designers imagine the blue stuff as parkas, shirtdresses, dusters, and suiting. Whether you like it rough-and-tumble or polished, raw or washed to supple perfection; FW’16 has it all. Florals don't always have to be girly and bright—and they don't have to be worn exclusively in the spring and summer, either. For a winter-ready take, look for dark and moody florals this season. 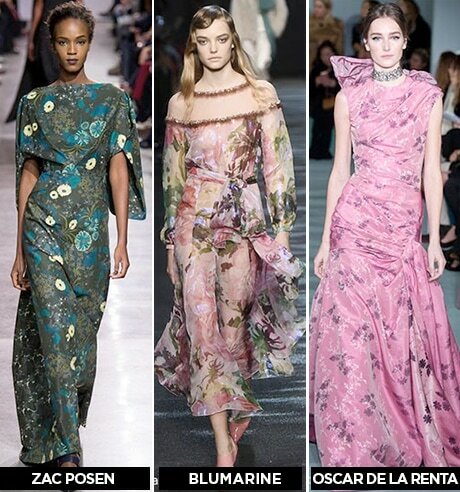 Also, floral prints mixed with other botanical motifs are to be deemed as the most sort after print of the year. Who doesn't love stripes? 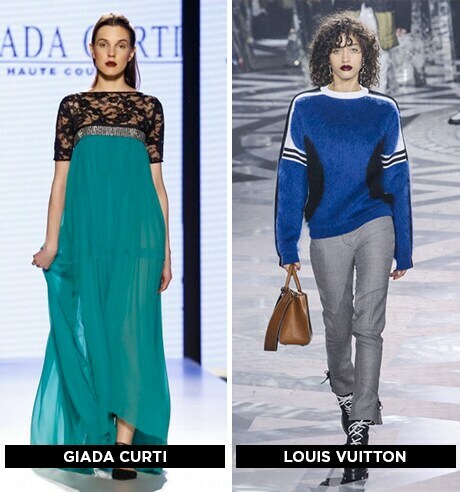 The fall 2016 collections yet again do not fail in bringing stripes of all different styles; vertical or horizontal, diagonal or broken, broad or classic pinstripes thus forming one of the grandest fall/winter print trends in fashion.